UPCN run over Minas in straigh sets! October 18, 2016	Comments Off on UPCN run over Minas in straigh sets! Artur Udrys in final of KOVO Cup! October 2, 2016	Comments Off on Artur Udrys in final of KOVO Cup! Milovancevic signed for TSV Herrsching! September 19, 2016	Comments Off on Milovancevic signed for TSV Herrsching! Petkovic moved from France to Qatar! August 17, 2016	Comments Off on Petkovic moved from France to Qatar! 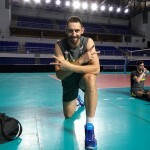 Marko Bojic continues his career in South Korea! August 5, 2016	Comments Off on Marko Bojic continues his career in South Korea! Bozidar Cuk moves to Qatar! July 28, 2016	Comments Off on Bozidar Cuk moves to Qatar! Iraklis signed with two attackers! July 21, 2016	Comments Off on Iraklis signed with two attackers! 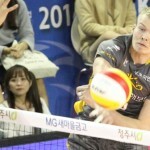 Mrdak moves to Greek league! July 21, 2016	Comments Off on Mrdak moves to Greek league! Serbia reach historical gold by demolishing Brazil! 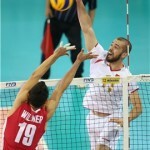 ATOMIC VOLLEYBALL – Serbia advance into 2nd consecutive final! July 16, 2016	Comments Off on ATOMIC VOLLEYBALL – Serbia advance into 2nd consecutive final!